In the Occupied Palestinian Territories we’re daily reminded that history is cyclical. However, yesterday night, when Ein Hijleh was evicted with unjustifiable violence, the ticking flow of time stopped and my perception reversed dramatically backwards to 1948, the Nakba. The expulsion of the residents of Ein Hijleh, the arrival of the bulldozer ready to crumble the identity and erase the trace of a People, the scene of Palestinians making their way through the dunes wrapped in heavy blankets and carrying just a few belongings called to my mind b/w archival footages documenting the ’48 ethnic cleansing. Palestinians, once again refugees in their own land. Ethnic cleansing is the systematic forced removal of ethnic or religious groups from a given territory with the intent of creating a territory inhabited by people of a homogeneous or pure ethnicity, religion, culture, and history. The forces applied may be various forms of forced migration, as well as mass murder, and intimidation. According to this definition, it results evident that ethnic cleansing is still on-going in the OPTs. Although International Law recognizes it as a crime against humanity, the Zionist State of Israel continues to carry out policies of illegal expansion and annexations of palestinian land in order to create territorial fragmentation and therefore prevent the creation of a palestinian State. This process has been facilitated by the Oslo Accords which, while stating the will to fulfill the ”right of the Palestinian people to self-determination”, they legitimated the division of the West Bank denying the sovereignty of Palestinians on their own land. The implementation of the Oslo Accords allowed Israel to strengthen its means of oppression in the region: it designated 95% of the Jordan Valley as Area C, placing the inhabitants of the region under full Israeli military and civil control. Around 300 activists, coming from all over the West Bank, promptly responded to the call and we stayed steadfast, ’til the violent eviction of the Israeli army. 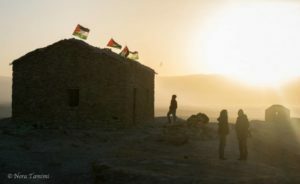 In the early morning hours of friday, 7th of February, one week after the village was re-established, the Israeli army surrounded the residents. Hundreds of small green lights, used by the soldiers to identify themselves, appeared on the horizon, quickly getting closer while shooting sound grenades. Rocket flares lighted up the sky, blinding the stars to the massacre that was about to take place. The soldiers stormed the village with unjustifiable violence, shooting sound bombs, rubber coated bullets, beating the residents, also women and children, and throwing a few in the fire. The most significant group left in the centre of the village was pressed on the edge of a terrace, many were forced to jump down. The residents faithful to the nonviolent values didn’t react if not to protect themselves and responded to the violence chanting resistance songs. Forced in long queues we were shoved and mocked by the soldiers, loaded and squashed in buses, kepts under strict control by the Isreali soldiers until our release at the gates of Jericho where we found support and hospitality. It would be unfair to reduce a week experience to the eviction. The success of Ein Hijleh lies in the message that has been spread: people are the power. Only together we are able to make the difference, gain credibility and put forward our requests, fight for them and become decision makers without delegating to corrupted political systems, be it the Palestinian Authority or the Israeli State. Ein Hijleh became a common space where ideas could flow freely and the enthusiasm was palpable. It promoted the sense of belonging to a new born village which represented Palestine in its whole, overcoming religious beliefs, social classes and political factions. It promoted networking amongst activists and resistance villages whose mobility is challenged by the on-going fragmentation of the Occupied Palestinian Territories. The whole village has been revitalized thanks to the contribution of each activist which has lend it’s own time and skills for the foundation of a new society based on inclusive and horizontal based principles. For example, the house were made habitable, olive trees were planted, solar panels installed, films were screened and political and cultural discussion were held. The bulldozers might have tried to sweep away the traces of a social-political experiment that gathered activists from all over the West Bank, without being able, however, to tame its spirit. 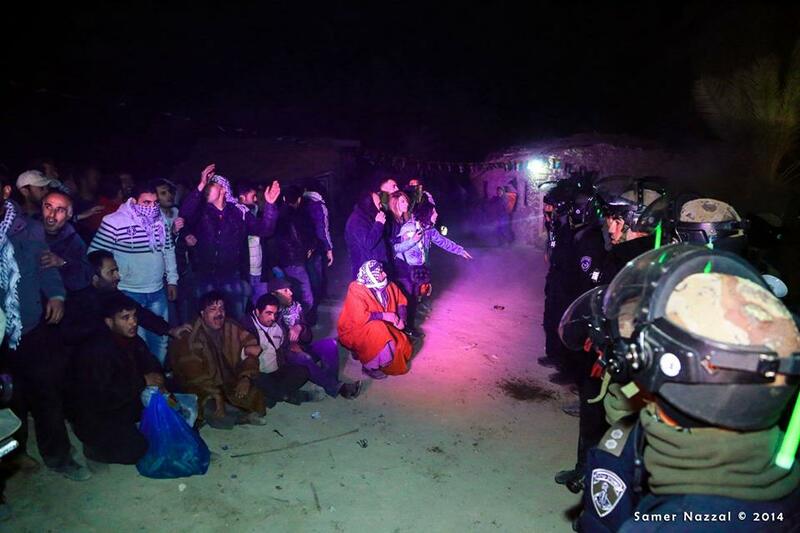 Every eviction from Bad al-Shams, Ahfad Jounis to Ein Hijleh are just reinforcing the determination of the freedom fighters to counteract the policies of the Zionist State.